As we celebrate the launch of the new INCPAS logo, brand refresh and redesigned website, I can’t help but reminisce on the origins of these exciting changes. I was new to the INCPAS staff last summer when Jennifer Briggs and Stephanie Parton first approached me about exploring new logo designs. We were already beginning to discuss a website redesign that would better meet the needs of members, so it made sense to assess our brand and figure out how we could ensure the Society’s relevance to the profession. It was clear — our brand needed a makeover. In order to look as progressive as our many forward-thinking initiatives, we retired the red and blue pencils and the infinity symbol for a clean and streamlined text-only logo. You’ll recognize the familiar blue and red color palette — this new look shows an appreciation for the past with an eye on the future. The large “IN” and the red “CPA” both highlight the most important pieces of who the Society is: not only CPAs, but CPAs from Indiana. The 2-color palette makes it more cost effective to print stationary we use in the office frequently. And, as was evident at CPA Celebration 2018, it is now legible at a far distance, and also when it is scaled down to a small size. 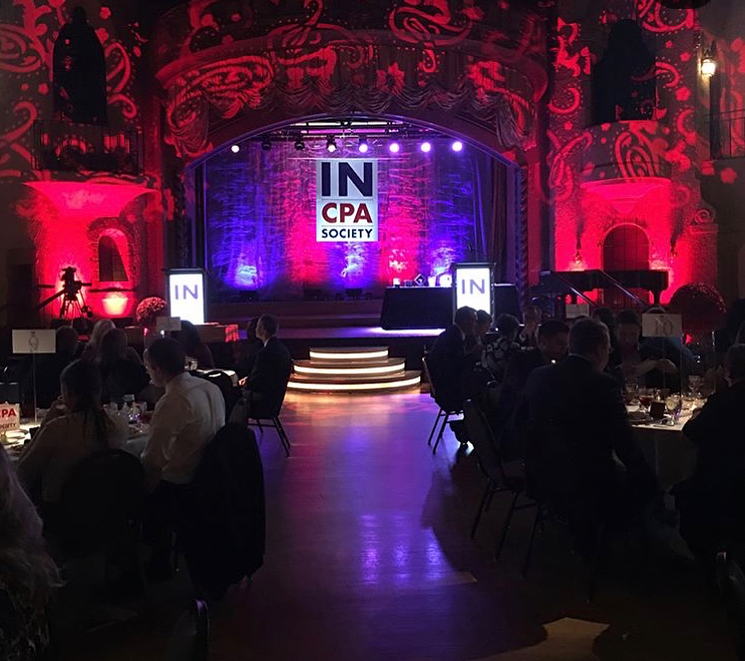 We hope you like this new look for INCPAS! We even changed our electronic communications to match the new brand and website. Keep an eye on your inbox to see the fresh, new look.